You've probably read about the sun kicking up its heels for St. Paddy's Day weekend. The sun pulled off what's called a "Coronal Mass Ejection." No, that doesn't mean the sun threw away all of its empty Corona beer bottles--it means there was a giant gob of solar goo that got spit toward earth speeding faster than a Spring Breaker on the way to the liquor store...or the beach. Anyway, oddly enough, the mainstream online media has dropped the ball when it comes to showing just what this Coronal Mass Ejection created in the skies about our lovely planet. Not to worry, Trusty Spacewater Dot Com saved the day. 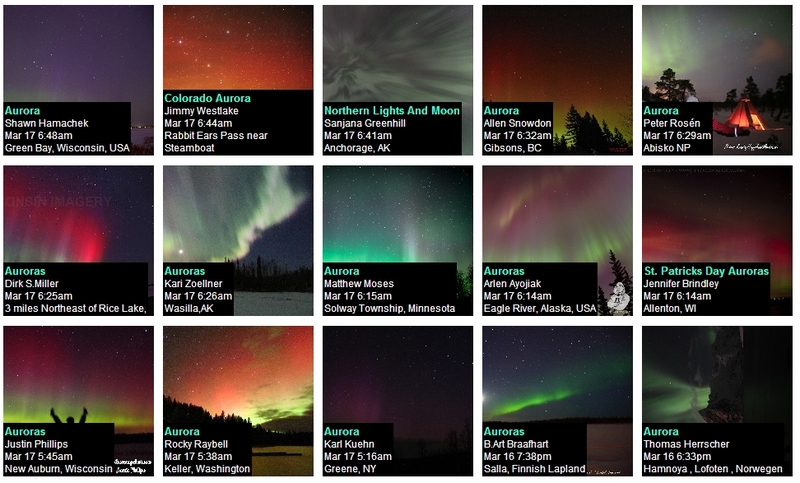 You can click the link below to see photos from around the globe taken within the few hours showing what brilliant aurora displays took place. In the contiguous United States, auroras also appeared above New York, Washington, Minnesota, Wisconsin, Wyoming, Michigan and the Dakotas.